Creative previsualization (Pre-viz) is a story telling tool in 3D animation software which allows directors and clients to shape and visualise their creative ideas and technical approach at an early stage in a projects development. It is a truly collaborative process which fosters creativity allowing key members of the team to have invaluable input and dialogue to try out ideas and concepts insuring a shared vision of the project and ultimately efficiency at an early stage. In our approach to artistic Pre-viz we incorporate full technical details from the start. 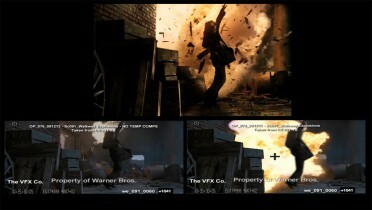 This unique approach means that throughout the Pre-viz development all real world detail and information such as cameras, lens, films back size, set dimensions, actor details, motion control rigs. 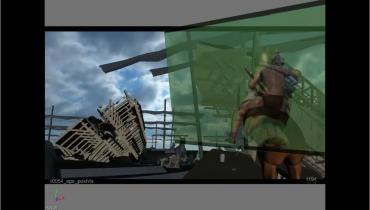 model movers motion capture and stage layouts are being considered in tandem with the development of the artistic Previz. This helps streamline the decision making process thus eliminating any time and cost wastage. Rig chase is our in house 3D propriety software developed over the last twenty years from our extensive work in commercials and feature film. In rig chase we have accurately built our motion control rigs, we import the Pre-viz move and then apply our motion control rig to that move to check that it is achievable for speed reach and range of movement. This invaluable tool allows us to sign off moves in advance of the shoot so saving time and money.